The structures of our musculoskeletal system - the bones, joints, ligaments, tendons and other tissues - are highly susceptible to damage caused by trauma from accidents, injuries and other events. These traumatic events may include a fall, automobile accident or sports injury, and often include a direct blow or twisting on a specific area of the body, causing pain, swelling, inflammation and other sometimes serious complications. 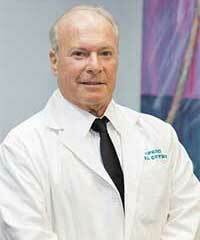 Dr. Feingold provides comprehensive trauma care for all types of falls, accidents or injuries. 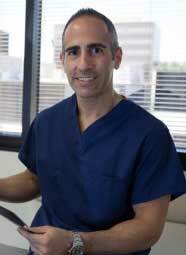 He is experienced in everything from performing emergency surgeries to administering physical rehabilitation programs. Treatment for accidents or injuries can vary depending on the type, severity and location of the affected area, as well as the patient's overall health. Most treatment courses usually begin with conservative methods and only consider surgery as a last resort. Physical rehabilitation is often needed in order to restore movement and function to the affected area as it heals. Fractures cause pain, swelling and bruising in the affected area, which often worsens when weight or pressure is applied. A fracture can be diagnosed often just with a physical examination, although an X-ray or CT scan may be performed to confirm the diagnosis and determine the severity of the fracture. Depending on the type and severity of the fracture, treatment may include ice, rest and anti-inflammatory medication for mild fractures; casting or bracing for moderate fractures; or surgery for the most severe cases, including open fractures with wounds that need to be closed. Treatment for fractures aims to heal the bone so that it is properly aligned and able to function once again. Once proper treatment has been administered, rehabilitation may be performed as well to ensure proper healing.You will be advised on how to care for your fracture, along with helpful measures you can take to ensure a speedy and healthy recovery. The quadriceps and patellar tendons are structures in the knee that help us straighten our knee and perform a kicking motion. Tendons are cord-like structures made of fibrous tissue that help connect muscles to bones. The quadriceps tendon connects the thigh muscle to the knee, while the patellar tendon connects the patella (kneecap) to the rest of the knee. Both of these tendons can be easily damaged as a result of fall or other type of injury. Most patients experience quadriceps or patellar tendon damage after falling on a partially bent knee. The force of this injury is often too much for the patellar or quadriceps tendon to bear, causing tendon rupture. This condition most commonly affects middle-aged patients and recreational athletes. Treatment for tendon rupture usually begins with conservative methods such as icing and elevating the affected leg and using crutches. If the tendon is completely torn, surgery may be required to repair the tear and relieve pain. Patellar and quadriceps tendon repair is a simple surgical procedure performed in under an hour. 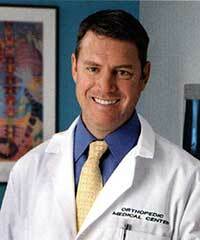 During the procedure, the affected tendon is reattached to the kneecap using sutures and holes drilled into the bone. A cast is then applied to the area to ensure that the tendons heal properly. Patients can begin moving the knee within a few weeks and continue to increase movement until the tendon fully heals, usually within eight to 12 weeks. An Achilles tendon rupture is a common injury that involves a tearing of the thick band of tissue that connects the calf muscle to the heel and helps with nearly any kind of foot movement. The Achilles tendon can be partially or completely torn and most commonly occurs as a result of repeated stress on the tendon. Most Achilles tendon injuries require surgery to reattach the tendon and allow the patient to resume normal foot function. Nonsurgical treatment is only reserved for the mildest of cases or for patients who lead a sedentary life. Until surgery is performed, patients will likely suffer from recurring (chronic) tears. During the Achilles tendon repair procedure, an incision is made along the back of the ankle to access the tendon. The torn ends are then reattached using strong sutures that are placed on both ends. The sutures are tied together and the incision is then closed.